The average household living room has a whole lot of living going on, with members of the family in and out of the living room multiple times a day, so it is little wonder if often becomes a place that collects clutter and random items from elsewhere in the house. 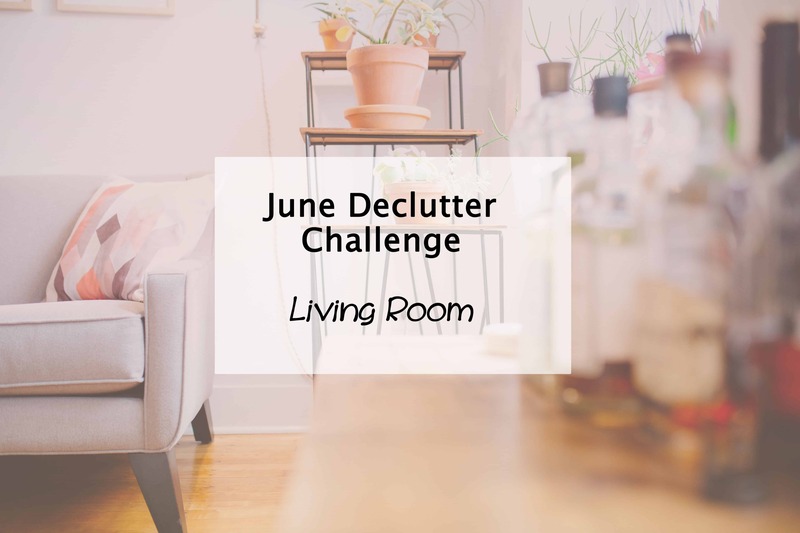 But we want this space to be a relaxing space, perfect for winding down after a long day or enjoying our favourite television program, so this instalment of the Simplify My Life challenge brings us the living room declutter. If your house is anything like mine, the living room is a bit of a dumping ground. Firstly, we have a toybox in our living room which means it is often decorated expertly by a 2 year old who has no interest in putting her toys back in the toy box. Not to mention the pile of stuff that builds up quickly on the coffee table. I’m the only one to blame for that. My notebooks, to do lists, magazines and other random items (mixed in with some more toys). Ooops! Not a very relaxing space, so my living room declutter is a relatively big job compared to some of you. What you want from this space is somewhere clutter free, with simple furnishings that give you the chance to move freely, spend quality time with family, and possibly even feel good about hosting friends in there occasionally. It’s a great place to add some of your own personality, but not so much it’s overflowing (unless that’s what you’re going for). I will share my own update soon. This is one room I look forward to simplifying and turning back into a living room rather than an obstacle course of blocks and dolls. Have you joined the Simplify My Life challenge yet? We are half way through the declutter challenges but it’s never too late to go back and work through the areas of your home. Each declutter challenge has a free printable checklist to help you get the room under control. You will find all the past tasks on the challenge page. Is your living room a family chill out zone or somewhere that would give the glossy magazines a run for their money? My living room, well up until a month ago – it was a bedroom for one of the kids. We are about to move from this tiny house that we are busting out of YAY!!! Can’t wait to get the leather recliners out of storage 🙂 Don’t think I’ll move once I sit in them again! Do you have any tricks for cleaning TV screens? I use a microfibre cloth, but I’m always worried I’ll damage the screen! Love your blog. Marina. Our living room is certainly the heart of our home and also the ‘dumping ground’ for many things. I am trying really hard to teach the boys (2 & 3 years old) that they need to pack away their toys before they get something new out – it’s a never ending battle though! Ok Ok I am DOING this one, our living room is out of control!!! Our little terrorists have overtaken all of our adult space and I’m determined to claim it back!! This weekend is operation living room back! We used to have toys in the living room, but when we moved I stopped that. We have a toy room now so it’s not necessary. I hate having too much stuff in the lounge now. It’s all minimalistic here. Minimalist is so much more relaxing. My daughter is still at that age of wanting to be near but long term, our second lounge would be a perfect play room.